Just Skirts and Dresses: Creating a cloche pattern - part 1. Creating a cloche pattern - part 1. It is pure for my own pleasure that I attempt to make my own patterns. I don't use any existing pattern to do this, gather only visual inspiration from the internet. I am not a pattern maker and I'm not intended to sell any of my patterns and earn money that way! 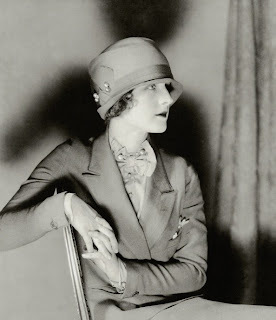 Well, here is my current obsession, the 1920's cloche hat. Cloche inspiration: There are lots of beautiful cloche pictures on the internet. There are two sorts of hats called a cloche: the one with the close-fitting round crown with mostly no brim and the more cylindric 'brimmed felt' type cloche (like in the illustration below). 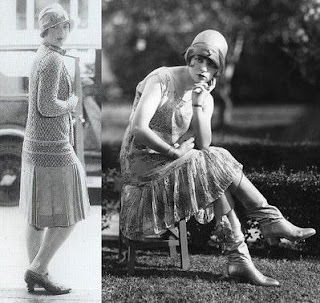 Both are reminiscent for the 1920's. 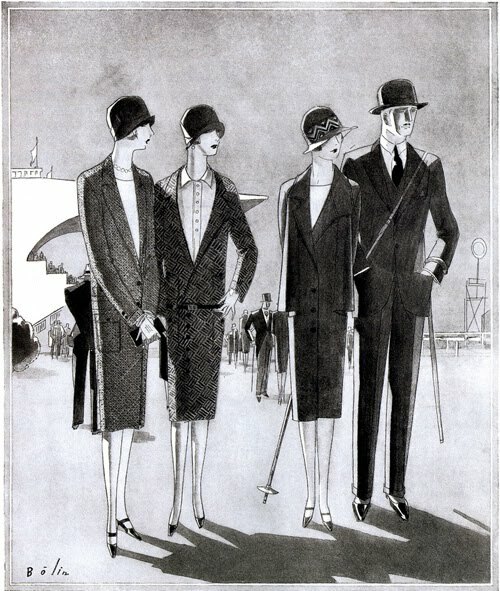 For a nice collection of fashion drawings click here. What I like is the close-to-the-face shape of these hats and the embellishments. You didn't show your forehead in the twenties! The height of the hat was supposed to add height to the wearer's length too. Cloches were perfect to wear with the new hairstyle, the bob haircut. The brooch type embellishments like flowers or abstract, often art-deco-like shapes were made of fabric are used to cover up seam-lines. For myself because of my round face I'd choose the cylindric cloche instead of the round (helmet-like) one. If you want to get in the mood, just look at these gorgeous creations!!! Pretty, handmade, almost art I would say. Since I don't work with felt I must take a look at cloches that are sewn. My inspiration are these, because these hats have a pretty cloche-shape and are sewn from unshaped woven fabrics. I took one hat for further analyze: this one, because of the plain color and pretty shape. The structure is consisting of 3 parts: top, side, brim just like my winter hat. Now, what are the (visible) differences in the structure? It is made up out of four triangles, but while my top is rather flat this one is more curved. This means I have to make my triangles bigger and more umbrella shaped. Also while my triangles match the seam-lines these are turned so they form an X rather than a + on top. I think the sides are quite similar, so no big changes to that for now. As I see it has only one seam-line, at the back. The brim has the same width at the front and the sides and gets smaller towards the back. Again, just one seam-line at the back. This was my first try: Too small, I added some extra fabric at the outer edges. This was quite easy.